A Warhammer 40,000 action-RPG is in development at The Incredible Adventures of Van Helsing studio NeocoreGames. As reported by IGN, the Budapest-based developer describes Warhammer 40,000: Inquisitor – Martyr as a persistent sandbox action-RPG that thrusts players into "a grim and secret war among the stars as the agents of the ever-vigilant Inquisition”. The developer is also promising a "colossal sandbox" that will provide “years of constant entertainment, gradual development, and a continuous flow of content that enriches the action-RPG gameplay”. “There’s a reason why we chose the world of Warhammer 40,000: it’s intense, brutal, visceral – a perfect material for an action RPG,” said producer Zoltán Pozsonyi. 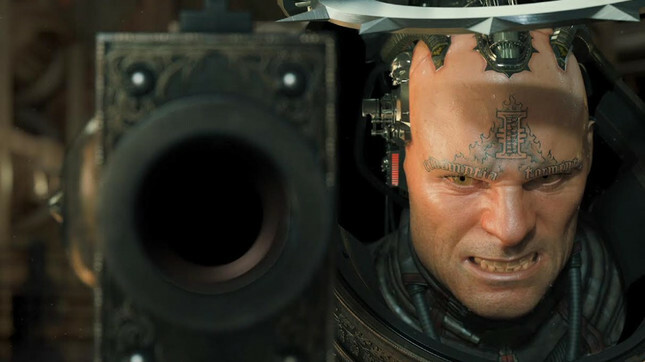 Warhammer 40,000: Inquisitor – Martyr is slated for a 2016 release on PC, Mac, Xbox One, and PlayStation 4.